The Greater Salt Lake area is like many metro regions throughout the U.S.: it boasts a diverse economy, fueled by hardworking citizens. 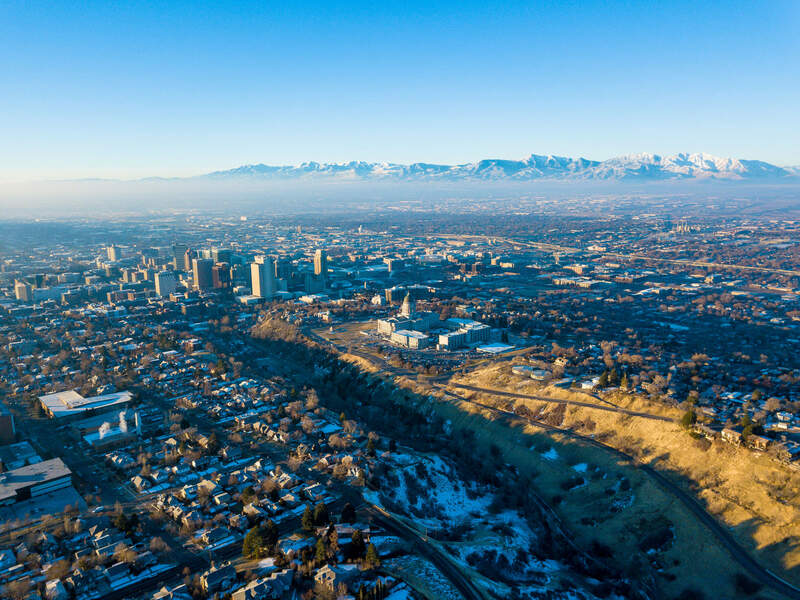 What makes Salt Lake City unique – aside from its stunning vistas – is the balance of businesses that call the Crossroads of the West “home.” Large corporations and small, family-owned companies weave together to form Salt Lake’s quilt of opportunity. From education to tourism and finance to technology – jobs are steady and plentiful. The fourth-largest Goldman Sachs office in the world is located downtown and startups are flocking to Lehi, earning it the nickname “Silicon Slopes.” A stable environment, coupled with easy access to resources and financing make Utah one of the best places in the country to start a business. Low taxes and an abundance of talented and skilled college graduates provide added incentives for companies to nestle between the Great Salt Lake and the Wasatch Range. The Greater Salt Lake area’s 2.3 million residents are the beneficiaries of this boomtown, evidenced by a high quality of life, highlighted by low unemployment and endless recreational activities. More than 20,000 businesses operate in the Greater Salt Lake area, making the competition to earn audiences fierce. A company must use omnichannel marketing strategies to get to the finish line or risk falling out of the race completely. That’s where Valpak comes in. How does a small business owner find the right marketing agency when there are so many search results without much substance? How do you know which ones accurately claim to be full-service marketing firms, offering print and digital solutions for your company’s needs? How can your brand’s message and values stay at the forefront of your marketing plan without morphing into the status quo? Marketing strategies aren’t one-size-fits-all. A successful campaign is thoughtful, personalized and efficiently executed. Sifting through sites naming the top ad agencies in Salt Lake City is time-consuming and often fruitless. Companies pay to appear on them, making them more like directories than comprehensive sources. Living in the digital age, your business needs to invest in digital marketing to stay top of mind with consumers. However, traditional advertising cannot be abandoned and should complement your digital efforts. A recent neuromarketing study by the Office of the Inspector General found physical ads were more effective than digital ads in leaving a lasting impression with adults ages 18-68. But your company’s physical ads must be direct, powerful and fall into the hands of consumers interested in your product or service. 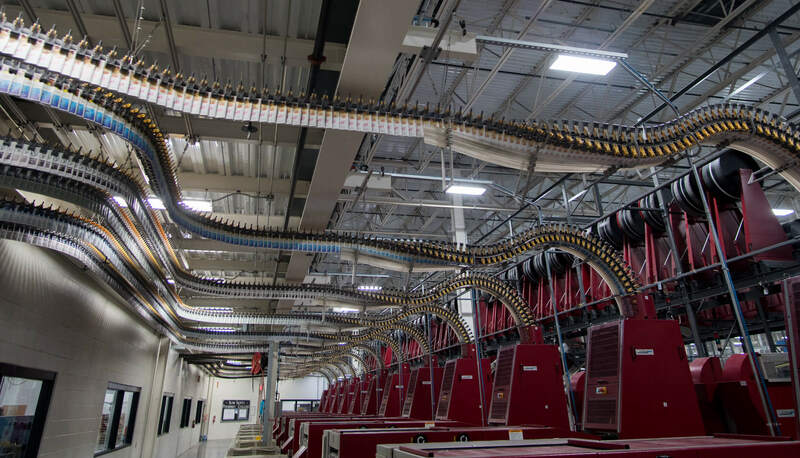 Valpak’s 470,000-square-foot manufacturing facility showcases the most advanced and automated systems for printing, packaging and distribution. Because Valpak only selects noncontroversial material suppliers with environmentally friendly products, every ad is designed and produced in the greenest way possible. Our products are 100% recyclable and all waste created at our state-of-the-art facility is vacuumed to a centralized unit for recycling. Regardless of industry, Valpak has a solution for small to midsized businesses that costs as little as 2-3 cents per household and best of all, yields results. 41% of Americans look forward to checking their mailboxes every day. And it’s not just baby boomers – 36% of adults under the age of 30 look forward to checking mail. Studies show millennials view print marketing favorably. Adults ages 25-34 like receiving it and find direct mail reliable and valuable. Valpak’s direct mail products work alongside digital marketing strategies to enhance brand awareness and grab targeted audiences’ attention, thus, increasing sales. Direct mail coupons – A cost-effective and powerful solution for small businesses looking to reach targeted audiences. Valpak mails more than 430 million Blue Envelopes annually to consumers most likely to spend money with your business. Direct mail flyers – Larger and more customizable than coupons, flyers are ideal for companies that need more advertising space. Flyers and circulars elevate your message and give you optimal exposure, so your business really stands out. Direct mail cardstock – One way to earn new business while encouraging repeat sales is by implementing a loyalty program with direct mail cardstock. These premium ads can include redemption tracking and address matchback, so you know which households have redeemed your offers. Solo direct mail – This product enables you to take your 1-to-1 marketing to the next level. Solo direct mail is 100% customizable so you can target specific households according to your schedule. There are dozens of digital marketing agencies in the Greater Salt Lake area but not all of them deliver on their advertised promises. Some agencies are similar to a public relations firm in Salt Lake City, mainly focusing on branding. Others sell boutique-style digital advertising at designer prices. As a small/midsized business owner, you need proven results that fit within your budget. Valpak delivers where others don’t. Web development – It’s estimated that 80% of online traffic comes from mobile devices, making the responsiveness of your website a priority. Your company’s site must scale across all devices and screen sizes – and Valpak’s web design team can make it happen. Our trusted experts can optimize your current site to be mobile-friendly and increase page load speeds while telling your unique story. 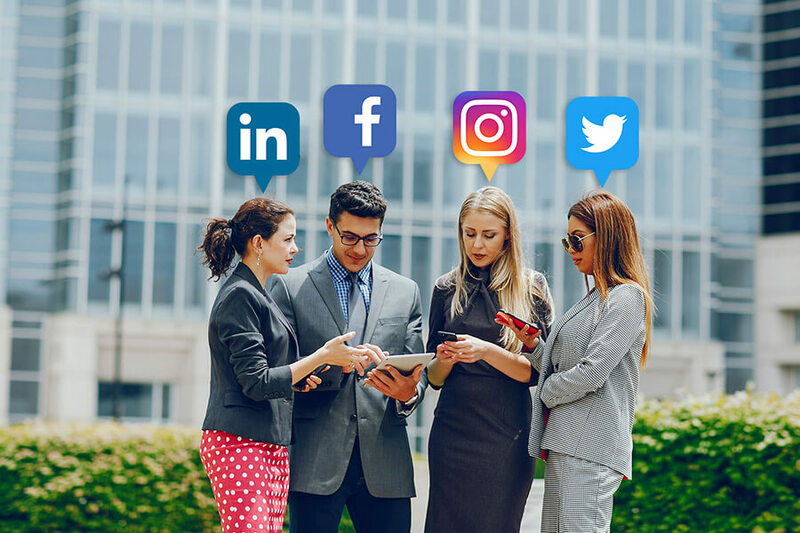 Social media marketing – There are more than 2.3 billion active users on Facebook, giving your company an easy and affordable way to establish brand recognition and build awareness. Valpak has the know-how to properly manage your content strategy by crafting best-practice offers and getting them seen by the right eyes at the right time. We’ll help you reach and connect with untapped audiences and help you understand their behaviors and interests through consumer insight monitoring. 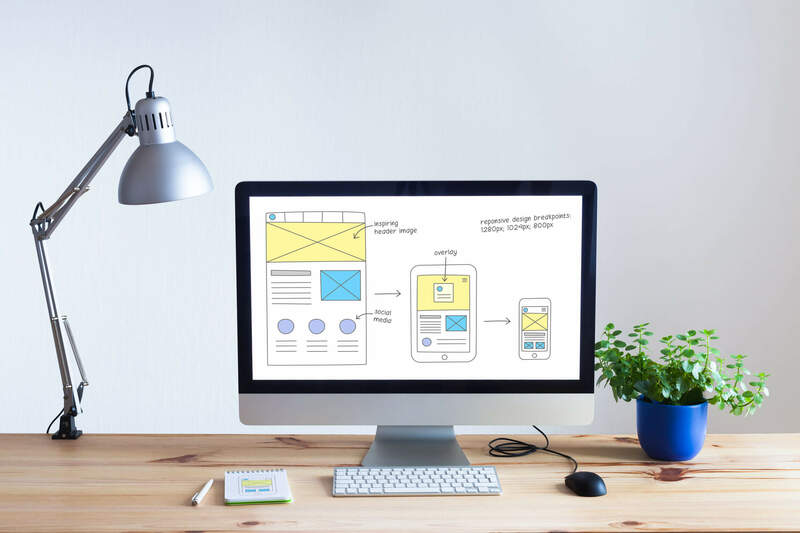 Display advertising – From banner ads to digital billboards, Valpak’s display advertising sets it apart from other Salt Lake City advertising agencies. Our design team will create display ads that grab the attention of hyper-targeted audiences and encourage them through the sales funnel. Search engine optimization – Organic search traffic has staying power and will earn your business the trust of consumers. Your company can get there with search engine optimization (SEO) and Valpak can help. Through content optimization, keyword research and technical analysis, our team of SEO professionals will increase your placement on search engine results pages (SERPs), which translates to more site traffic for your business. Search engine marketing – Good SEO gets your site to the top of SERPs, but it shouldn’t end there. Search engine marketing (SEM) or pay-per-click (PPC) is another way to get your business in front of the right shoppers. Valpak is a Google Premier Partner, giving you the confidence you’re in good hands, working with a digital marketing agency certified in Google Ads. 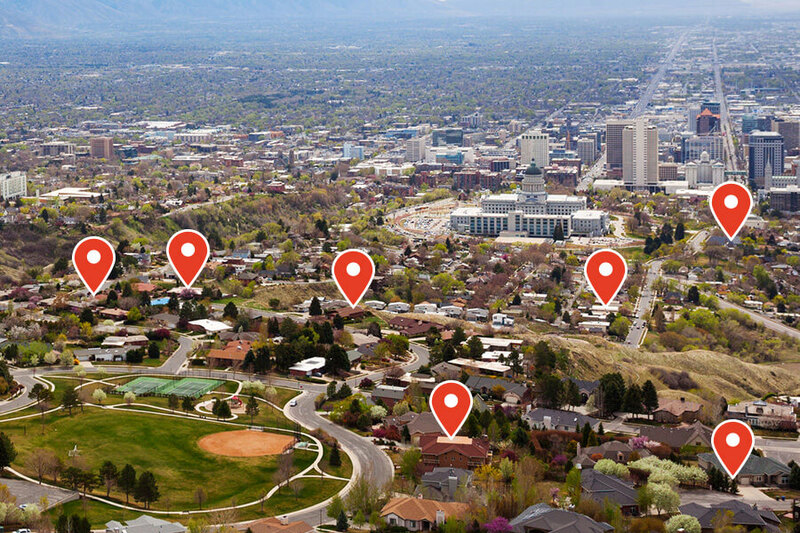 Online business listing – Take your local marketing in Salt Lake City to new heights by extending your reach with a business listing on valpak.com, the Valpak app and our network of partner sites, directories and apps. Listing your business online with Valpak gives consumers 24/7 availability to your offers. Whether it’s print, digital or both, partnering with your Valpak of Salt Lake City advertising team will get you results. You’ll know how your ads are performing every step of the process through our response tracking and comprehensive reporting. You will understand which offers are influencing consumers, so you know where to increase your investment and where to reduce it. Valpak has cost-effective options for every facet of your marketing strategy. We work with you to make your brand’s vision come to life and will continue keeping your business top of our mind – and your customers’. Can other Salt Lake City advertising agencies make good on their promises? Valpak can – and will! 2. Compared to the average Salt Lake City consumer. Claritas data with current year projections, March 2019. Contact your Valpak of Salt Lake City advertising agency today for a free marketing consultation. We’ll walk you through how you can reach as many as 290,000 qualified households in Salt Lake City, West Valley City, Sandy, West Jordan, Lehi, Orem, Provo and surrounding areas. 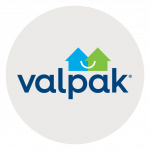 Valpak of Salt Lake City is an independently owned Valpak franchise. Juan Paoyos, owner of Frederick Granite, knows the power of advertising with Valpak. Since becoming a Valpak customer in 2014, Juan has seen higher customer volume and increased sales. He’s able to track the number of calls and traffic driven to the Frederick Granite website. If you want to build the foundation for Salt Lake City advertising success, choose Valpak – your full-service marketing agency.